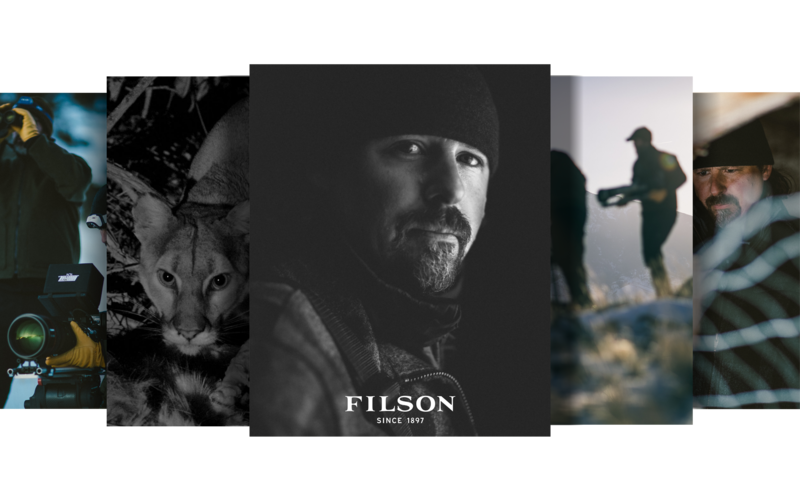 A social media project and photo essay created for outdoor retailer Filson. 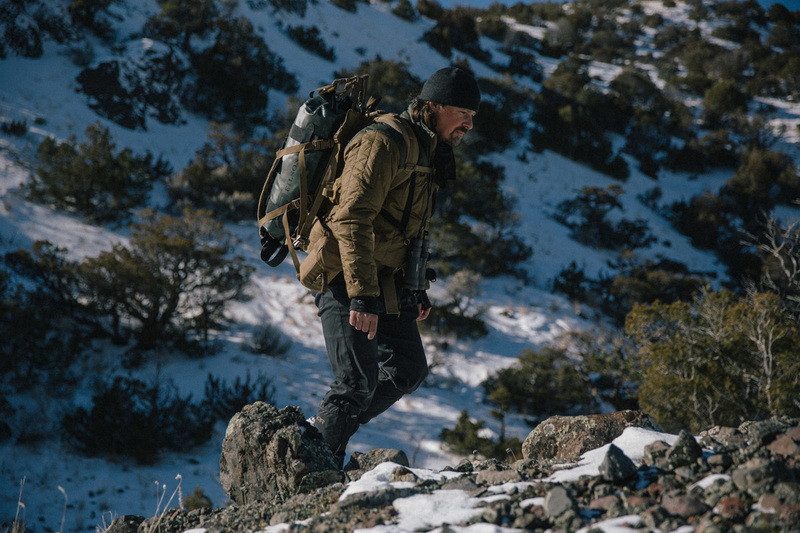 Filson joined wildlife filmmakers Casey Anderson and Brad Orsted of VisionHawk Films in the snowy high desert of western Montana as they tracked a wild Mountain Lion named Mama Mo. Casey and Brad survey the valley. Watching a live video feed from the camera, Casey watches the cats move along the distant hill. Casey and Brad set up the camera. 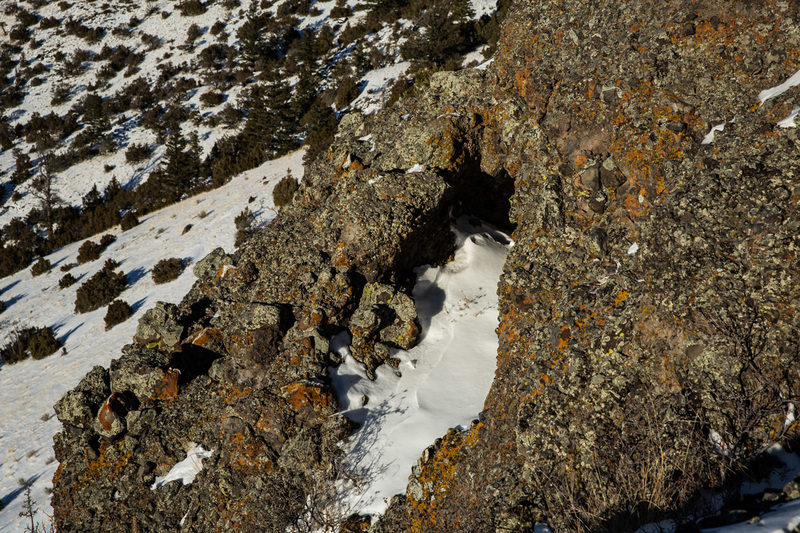 Our team scans the horizon only to see a wall of brown on brown terrain with a few patches of white, wind-swept snow. Without the thermal binoculars, the cats are invisible. After a moment, Casey relaxes and waves us over to a video monitor. There she is, Mama Mo, and three cubs, all in a line. 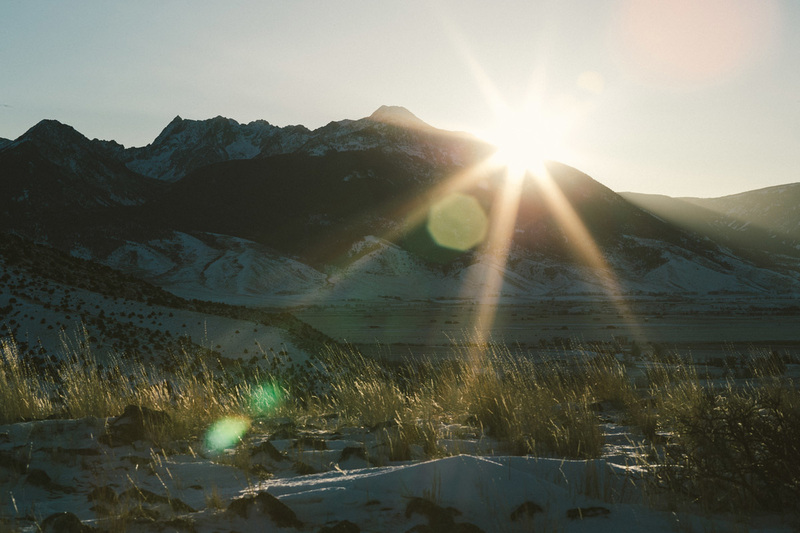 Sunrise over the Mountain Lion’s backyard. 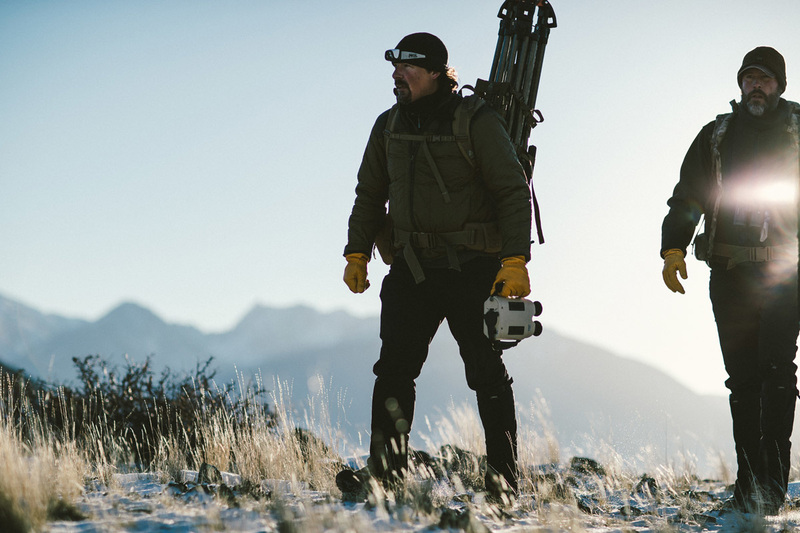 Brad continues to follow the cougars with the camera, while Casey steps back with a distant smile; not because what they just shot will make it into one of their films or television specials. But because he got his fix for the morning. Seeing her cross the hillside toward her den means she made it through another night. And he has been offered another chance to learn more about her. Casey rejoins us from his distant thoughts, still smiling. “Good morning,” he whispers. “Glad you guys could make it”. 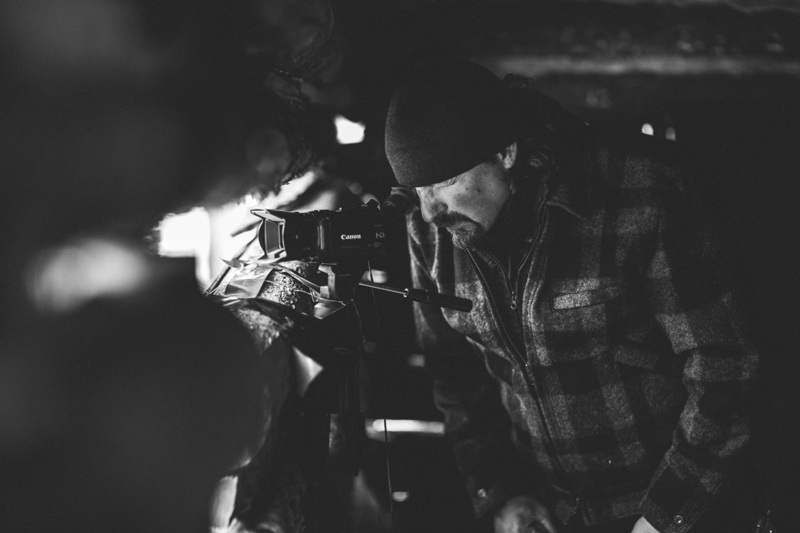 Left: Casey Anderson has made wildlife films with National Geographic, Discovery Channel, BBC and more. 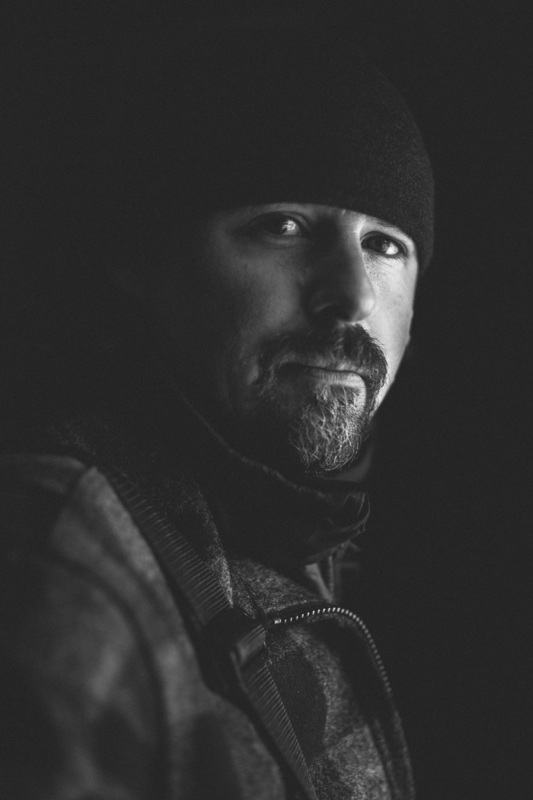 Right: Brad Orsted is an award winning photographer and cinematographer. It’s the sum total of moments like this that make up the core of being a wildlife filmmaker. The end goal is, of course, to share a glimpse of the wild with the rest of the world, to inspire and educate, and to capture something that’s never been seen. As Brad points out, “Pretty shots are great, but behavior is king.” Very little footage has been captured of wild Mountain Lions. Most of what we ever see is of collared or tagged animals. 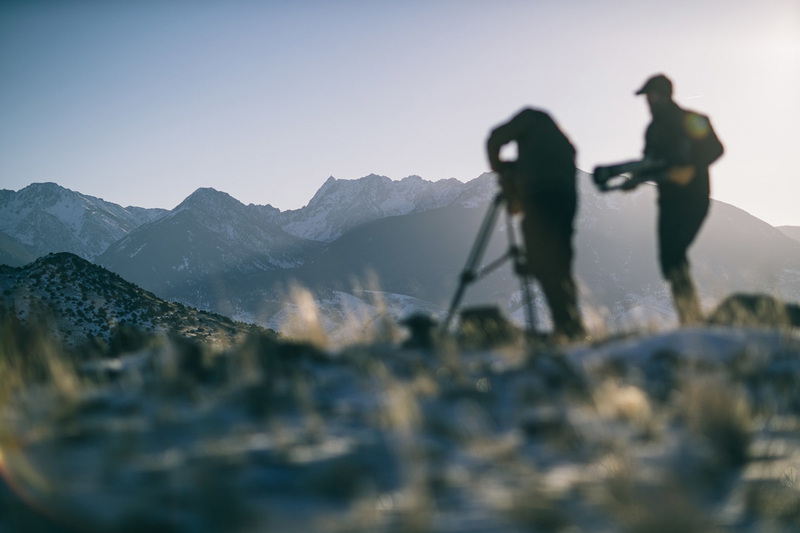 Casey and the crew of VisionHawk Films hope to expose natural behavior in these cats by using camera traps, military grade imaging technology, and classic filmmaking tools. 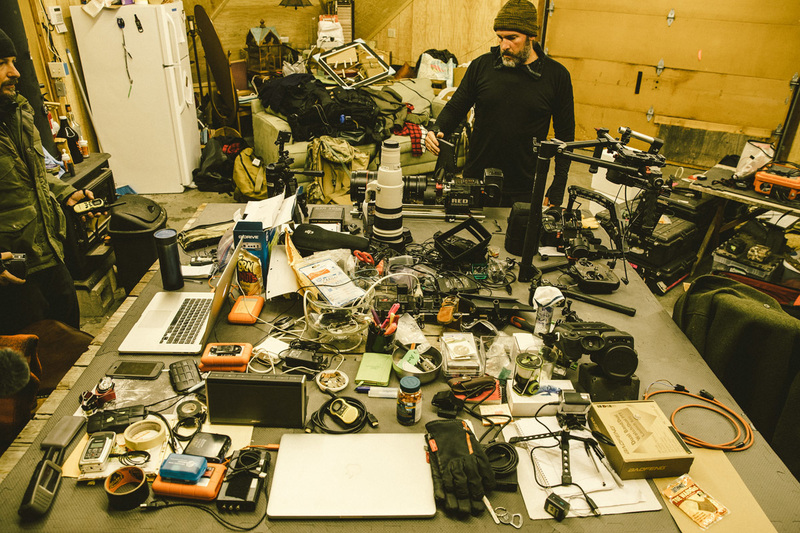 Operating out of a garage affectionately named, The Nest, Brad assembles a camera rig among a sea of cables, harddrives, tools, and other production necessities. 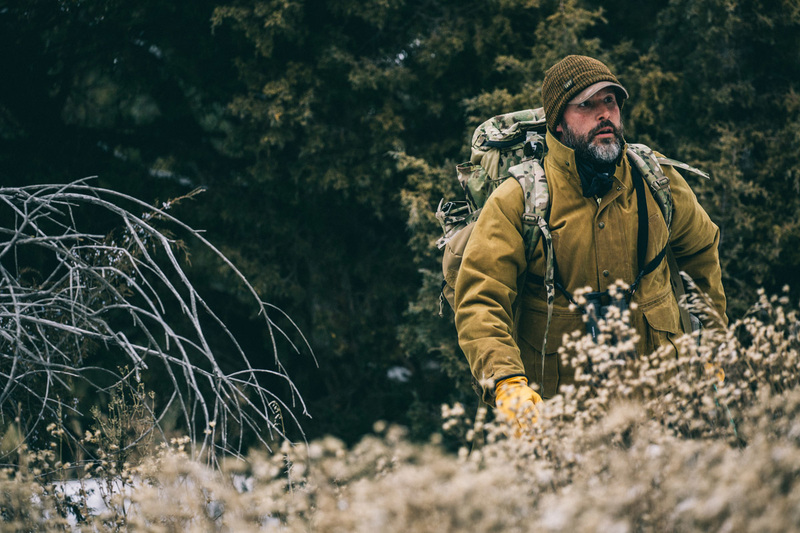 Casey carries FLIR thermal binoculars, a tool to spot heat signals from camouflaged animals. 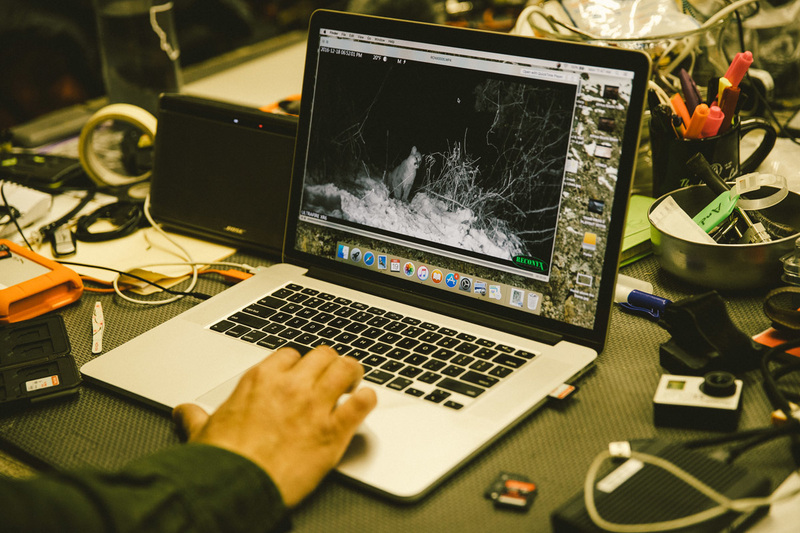 Casey demonstrates the different imaging technology used to track and record wildlife at night. Left to right: Visible light, Infrared light, and Thermal technology. 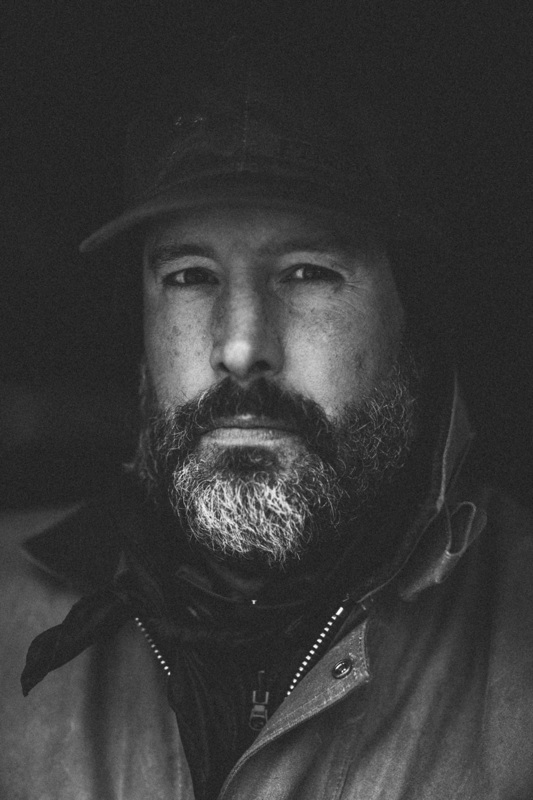 Each day, Casey and the crew operate with a pacing reminiscent of alpinist guides, where each step from the base of a mountain to the summit is equal in effort regardless of terrain. It’s the long game that is on their minds, not momentary victories. 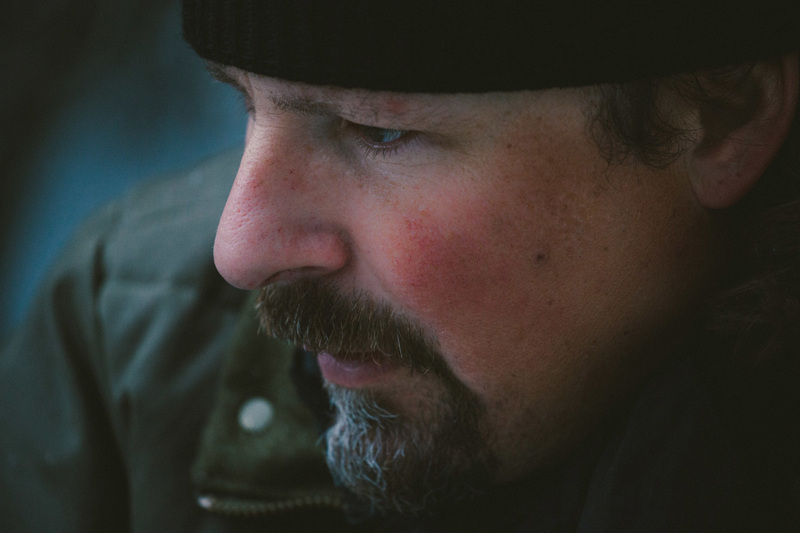 These filmmakers don’t have weekends, holidays, or sick days. And the best camera moments don’t follow a schedule. With five years of tracking Mama Mo, each day has equal potential for triumph. Or tragedy. As a wild cat in Montana, any number of ends can befall her and her cubs. Larger predators like bears or wolves certainly could threaten her safety, as could local hunters. 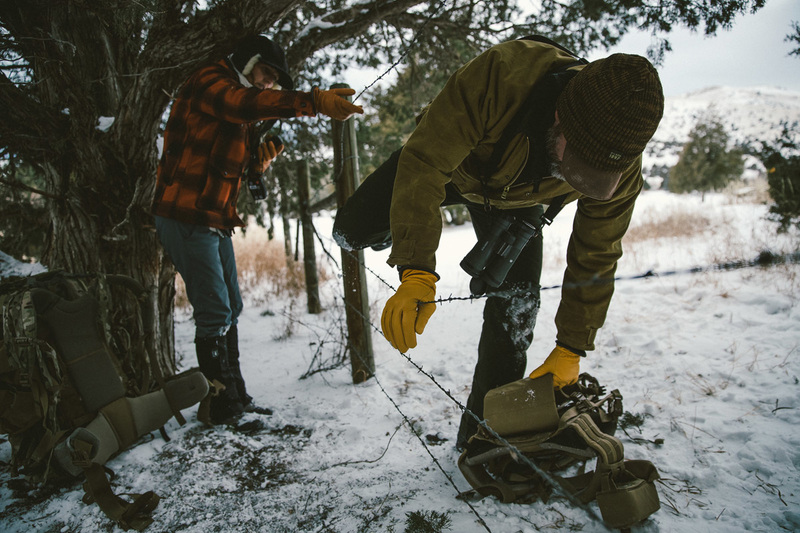 Above: VisionHawk crew member Maaike helps Brad through a barbed wire fence. Checking and maintaining camera traps is a daily routine. 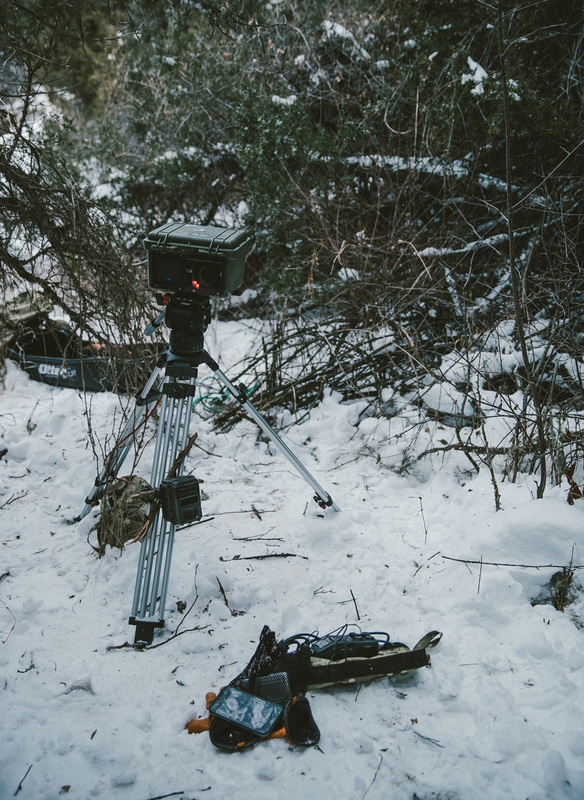 Right: An infrared camera trap positioned near the carcass of a Mule Deer. The crew places several cameras around such feeding sites hoping to get a glimpse of the family’s return. These cameras are powered by car batteries which have to be hiked in to remote locations, and constantly swapped out. As Casey watches camera trap footage from the night before, he remarks, “I live each day knowing that every time I see Mama Mo, it could be the last time”—a somber reflection made seemingly prescient when a camera trap near her den shows an uncharacteristically rapid departure from her home. She doesn’t show her face for the remainder of our time spent following Casey during the week. One of the cubs sits in front of a Reconyx infrared camera. 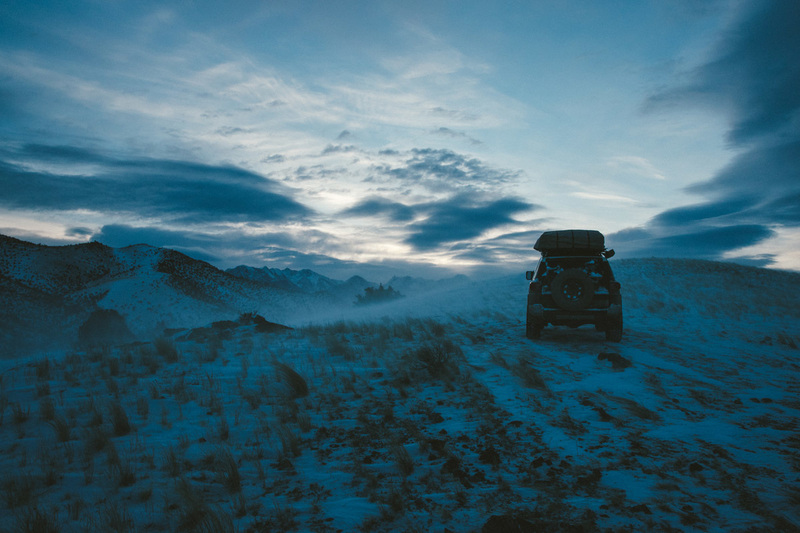 With Mama Mo’s disappearance, the crew hikes up the hillside looking for signs of her tracks. No sign of Mama Mo in one of her dens, but the hike affords a chance to setup a new camera trap. The word obsession gets casually used throughout the week as Casey and the crew go about their duties, trying to find out where Mama Mo went in such a hurry. Brad, always quick with a joke takes a serious tone. “Imagine its 2 am and your teenage daughter isn’t home and her cell phone is dead.” A lot of speculation is offered about why she may have left so abruptly. Casey tells us gaining knowledge of such an elusive animal is cyclical in that you learn so much and start to feel you have an understanding of how they operate. But the more you learn, and the more you think you know, the more you come full circle and realize you don’t know anything at all. Brad hikes with a pack full of camera gear. A chance to record footage can happen anytime, anywhere. 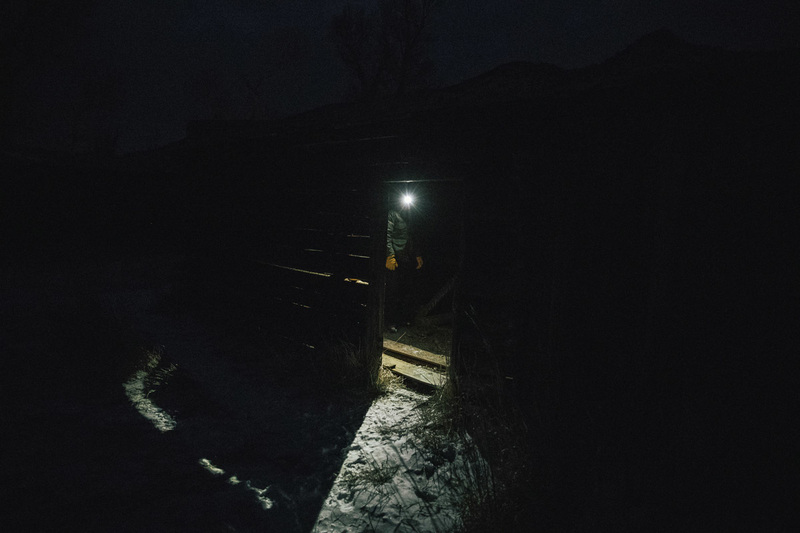 Casey stands in the doorway of one of the homestead buildings. He’s hoping to find a newly killed Mule Deer. 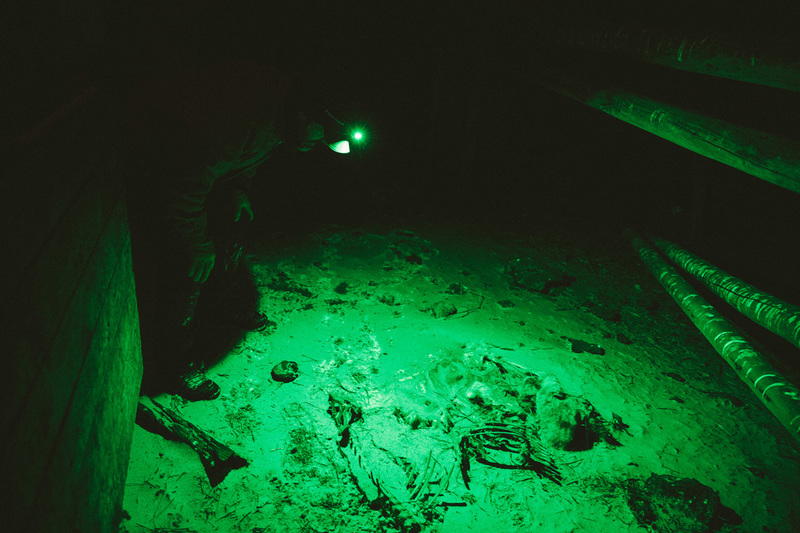 Brad checks one of the buildings for fresh tracks, illuminating remains of previous meals. 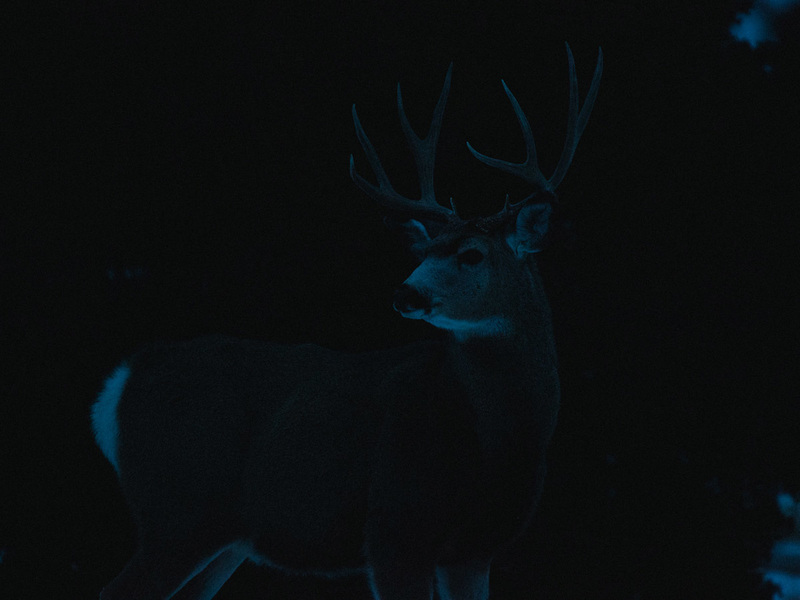 A Mule Deer buck in the last light of the evening. 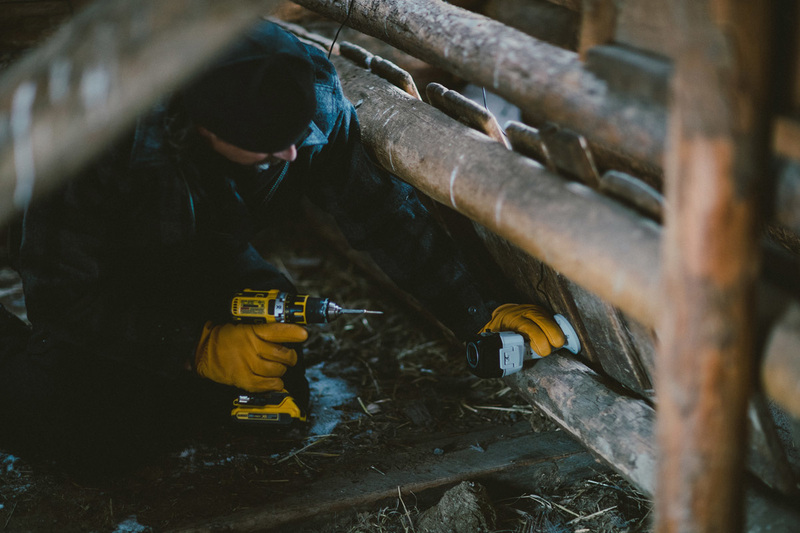 The next day, Casey installs a few more camera traps inside homestead building. Adjustments are made to the infrared light source that will illuminate the cats for the camera traps. 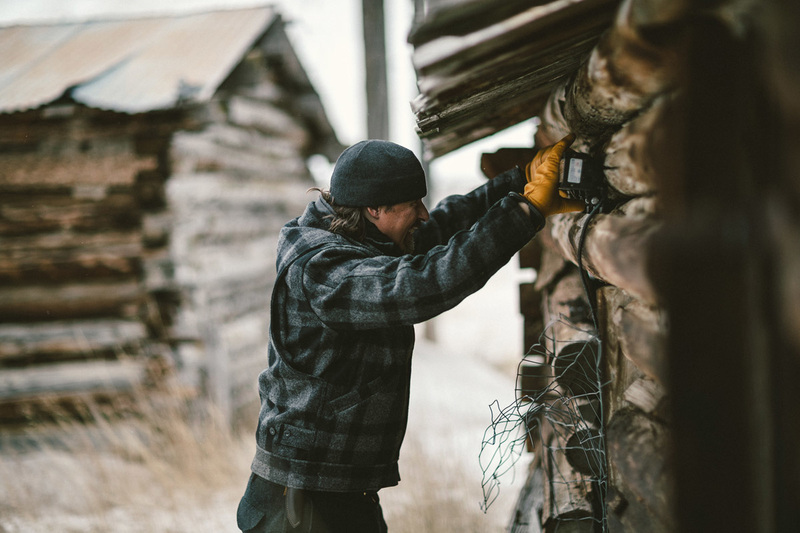 Casey aligns another camera trap that overlooks the homestead. 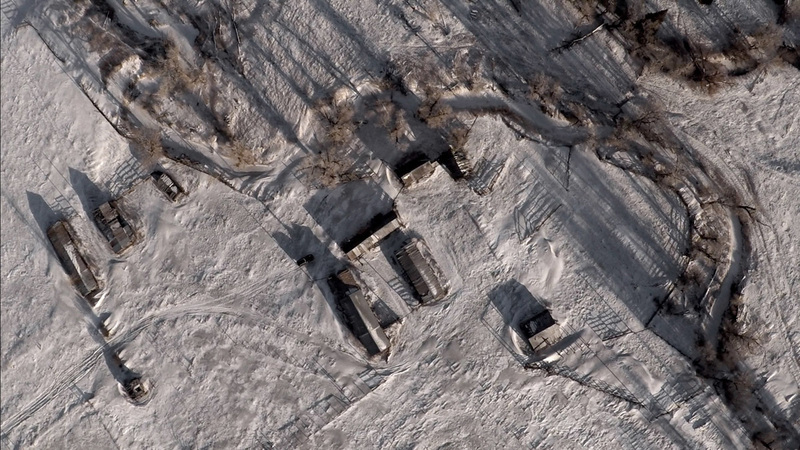 Aerial view of the homestead. Eventually, Mama Mo will make another appearance, giving a sigh of relief to the VisionHawk team. For now, the story will continue, and the obsessive task of sharing the life of this elusive cat goes on.